The Leuven Chinese Studies, published by the Ferdinand Verbiest Institute, has just released its 40th volume, Ferdinand Verbiest, Postulata Vice-Provinciae Sinensis in Urbe proponenda: A blueprint for a renewed SJ mission in China. The book is edited by Noël Golvers. The table of contents appear below. Orders are available through Verbiest.Inst@kuleuven.be . 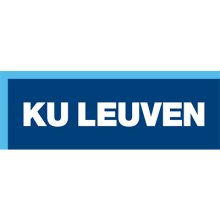 More details about the Leuven China Studies are available online at https://www.kuleuven.be/verbiest/publications/lcs. 5.1 Translation of Latin fragments quoted in the notes (187-201).